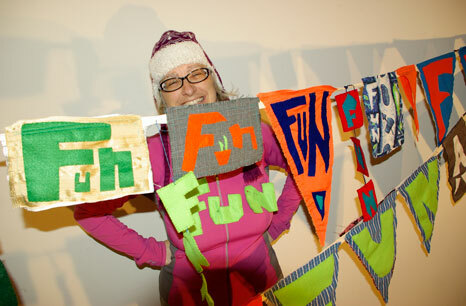 Christine amidst her Fun-A-Day pennants. Christine just finished a car lot-style banner for Pittsburgh’s Fun-A-Day 2015. 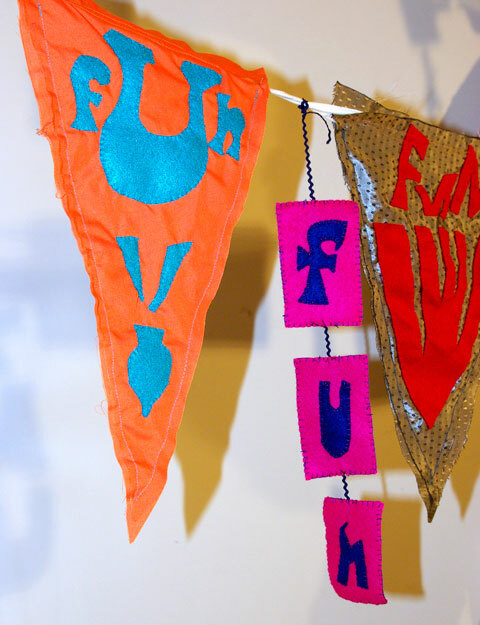 The banner, made up of 31 textile flags and pennants, will be hung from the gallery ceiling during the Fun-A-Day show in February. Detail of Fun-A-Day car lot banner. Fun-A-Day is a multi-city event in which artists create art for an entire month and then display it together in a gallery. Christine went as literal as she could, sewing the word “FUN” once for every day of the month. The resulting riot of typefaces and textiles is greater than the sum of its parts. 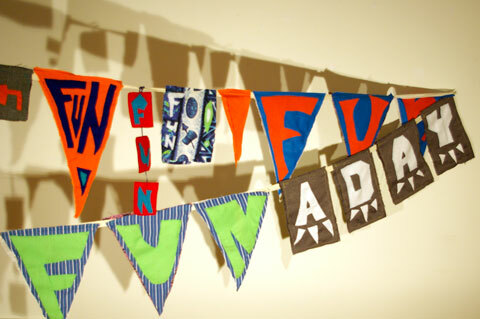 Fun fonts on these Fun-A-Day flags.